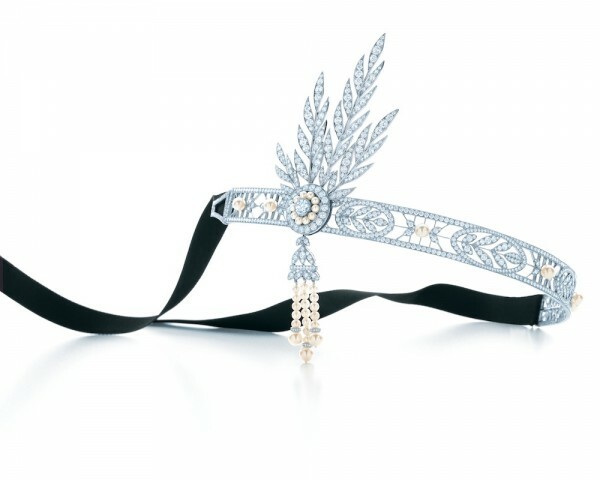 This gorgeous head piece, "The Savoy" is from Tiffany's and Co. designed for The Great Gatsby, which opens here in Canberra next week, 30th May. Tiffany's worked closely with our own, Catherine Martin to produce some amazing pieces for the movie. The Savoy is worth a cool, $238,000AUD, view more of their pieces on their website. 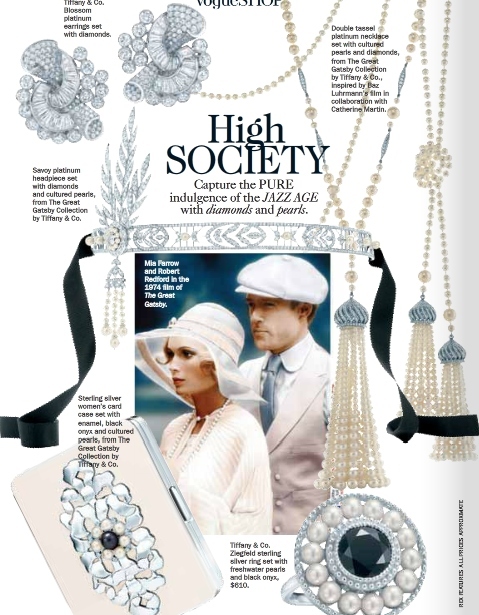 Vogue Australia have a cool spread on the jewels from the movie and Tiffany's collection. If you can't afford any of these hair pieces for your Great Gatsby event, you can always buy one of mine!! Images 1, 3 & 4 via Vogue Australia. Image 2, Tiffany's.